With Studio Series keeping its flame alive in the hearts of fans, we have exciting news for all those among us still entranced with the line. 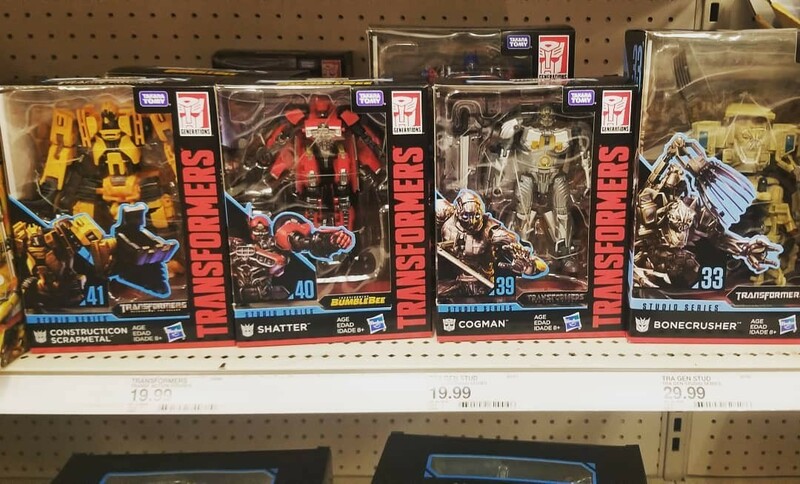 Courtesy of fellow Seibertronian Fc203, we have word that the deluxe class figures from Wave 6 of Studio Series, being Cogman, Car Mode Shatter and Constructicon Scrapmetal, have been spotted today in Pheonix, Arizona! They all sell for the expected $19.99, minus tax, though their Voyager wavemates seem to have not been packed in yet. Regardless, the hunt is on for those invested. 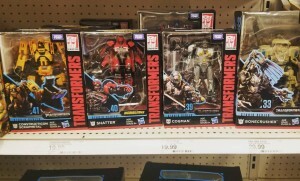 Be sure to share your finds with your areas sightings thread and be sure to stay tuned to Seibertron.com for all the newest Transformers news and reviews! Really? Deluxe Wave 4 and 5 hasn't even shown up here and I'm still waiting for Chopper Dropkick. Mmmmmmmmm. I'm ready for the Scrapmetal, babyyyyyyy! TFanPage101 wrote: Really? Deluxe Wave 4 and 5 hasn't even shown up here and I'm still waiting for Chopper Dropkick. I know! I'm still trying to find the Wave 5 Sideswipe, while Chopper Dropkick and DOTM Ratchet are clogging the shelves. Walmart off Dysart right off the 10. They have 5 G1 Optimus Prime reissues. Same with the Walmart on Estrella in Goodyear. They have a sign for Transformers but have absolutely nothing. Not one Transformers toy. 3,901 pages were recently viewed by 525 unique visitors. This page was viewed 1 times on Thursday, April 18th 2019 5:22am CDT. © 2019 Seibertron, Inc. DBA Seibertron.com. All Rights Reserved. Established June 2000. Seibertron.com is owned by Ryan Yzquierdo.